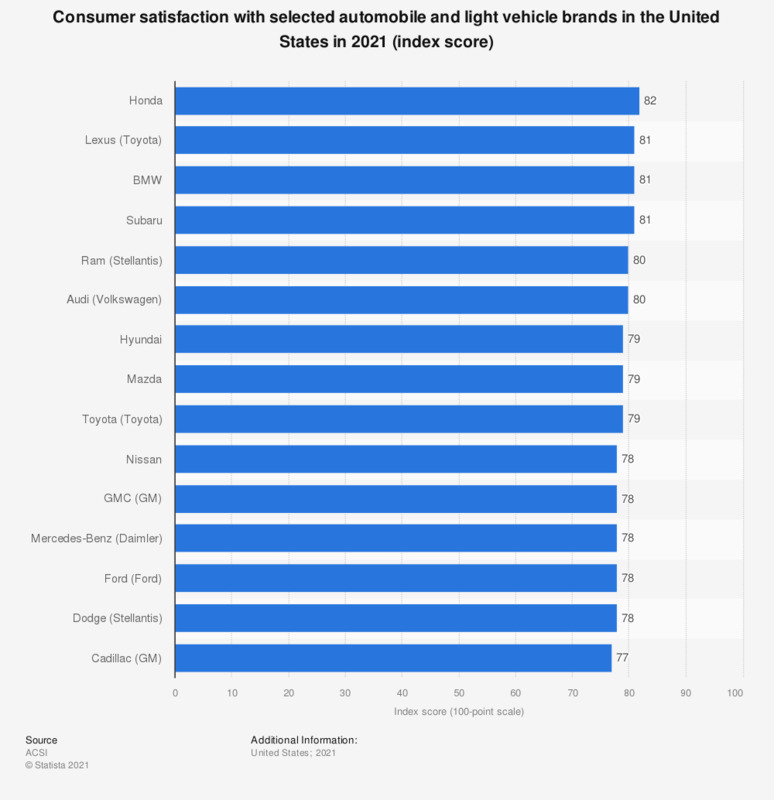 This statistic presents data on consumer satisfaction with selected automobile and light vehicle brands in the United States in 2018. That year, General Motor's Cadillac brand had an index score of 82. Everything On "Car brands: General Motors" in One Document: Edited and Divided into Handy Chapters. Including Detailed References.